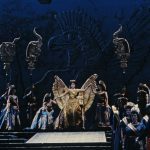 The Met: Live in HD, the Metropolitan Opera’s award-winning series of high-definition live cinema simulcasts, will begin its 12th season on October 7th, with a new production of Bellini’s Norma directed by Sir David McVicar and conducted by Carlo Rizzi, starring one of the world’s most acclaimed Normas, Sondra Radvanovsky. 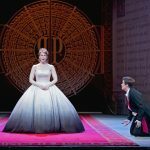 The 2017-18 Live in HD season continues with the Met premiere of Thomas Adès‘s The Exterminating Angel; Rossini’s Semiramide, which has not been staged at the Met in 25 years; Verdi’s tragedy Luisa Miller starring Sonya Yoncheva and Plácido Domingo; and the Met premiere of Massenet’s Cendrillon, starring Joyce DiDonato in the title role. 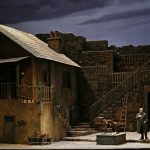 In addition to the productions new to Live in HD, audiences can see the Met’s new stagings of Puccini’s Tosca, starring Sonya Yoncheva and Vittorio Grigolo; Mozart’s Così fan tutte set in the 1950s in Coney Island, with an ensemble cast including Tony Award winner Kelli O’Hara. 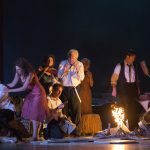 The season will also feature Mozart’s full-length German opera Die Zauberflöte (the abridged version of The Magic Flute was the first Live in HD transmission in the series); Donizetti’s L’Elisir d’Amore, starring Pretty Yende in her first Met performances as the spirited Adina with Matthew Polenzani reprising Nemorino, and Puccini’s La Bohème featuring Sonya Yoncheva and Michael Fabiano as the young Parisian lovers, Mimì and Rodolfo. With Classical Arts Ireland, you can enjoy all of this – at a venue near you. Book your tickets now. 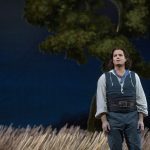 Get a sneak peek of the recently announced Met: Live in HD 2018-19 season. 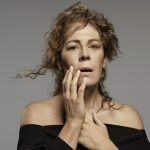 A new production of Bellini’s masterpiece, Norma, opens the Met’s Live in HD season, with Sondra Radvanovsky as the Druid priestess and Joyce DiDonato as her rival, Adalgisa—a casting coup for bel canto fans. 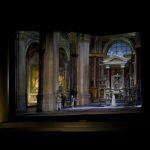 Tenor Joseph Calleja is Pollione, Norma’s unfaithful lover, and Carlo Rizzi conducts. 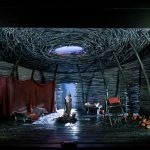 Sir David McVicar’s evocative production sets the action deep in a Druid forest where nature and ancient ritual rule. 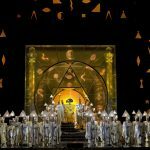 The full-length, German version of Mozart’s magical fable, seen in Julie Taymor’s spectacular production, which captures both the opera’s earthy comedy and its noble mysticism. 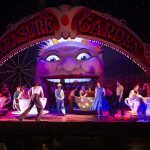 Rivaling the splendour of Franco Zeffirelli’s Napoleonic-era sets and costumes, Sir David McVicar’s ravishing new production offers a splendid backdrop for extraordinary singing. 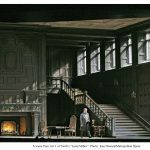 Sonya Yoncheva stars as the title prima donna alongside Vittorio Grigolo in the role of Tosca’s revolutionary artist lover Cavaradossi and Željko Lučić as the depraved police chief Scarpia. 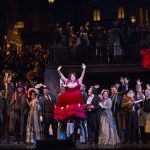 Get a sneak peek of the recently announced 2018-19 Met: Live in HD season. Tickets go on sale 1st September 2018 in all participating venues.